It’s 2005 and San Jose-based money manager, Dr Michael Burry (Christian Bale), has made a startling discovery. For years, financial products have been created by bundling hundreds of residential mortgages together. These financial instruments have then been sold on the basis that the housing market is a good, safe (as houses) bet. However, Burry spots something that few other financial experts have noticed (or wanted to notice). The housing market is a bubble that is going to burst. The home loans on which these complex financial products have been based are bad and will default - and the entire global financial market is at risk from the fallout. Burry also sees an opportunity for his investors. He asks a number of banks to structure a financial instrument (called a credit default swap) that will, in return for a regular premium payment, pay out in the event of a default in these underlying subprime mortgages. The banks are only too happy to oblige. They almost rub their hands together with glee. After all, who in their right mind would bet against the mortgage industry? Who indeed. News of Burry’s discovery soon gets out and Wall Street banker, Jared Vennett (Ryan Gosling), persuades hedge fund manager Mark Baum (Steve Carell) and his team to invest millions in the strategy. Meanwhile, young money managers, Jaime Shipley (Finn Wittrock) and Charlie Geller (John Magaro) also find out about Burry’s controversial financial position. Unable to get a seat at the big boy’s table, they enlist the help of disillusioned ex-banker, Ben Rickert (Brad Pitt). In 2008, the mortgage market finally crashes. Those who have gone short and bet against the banks make a fortune. However, they are all too aware that their success has come at a very high price for millions of people. The Big Short is an extremely enjoyable and entertaining film. Who would have thought that a movie about derivatives could be this much laugh out loud fun? Not me and I know of what I write, having been a derivatives journalist for ten years. In telling its remarkable, yet all too true, tale, The Big Short has to overcome two major hurdles. The first concerns its subject matter. The film needs to be able to explain the financial products that are being used (and abused). These products are hugely complex - often deliberately so. Banks have (literally) employed rocket scientists to help them develop these financial instruments. And no film as hell bent on entertaining its audience as The Big Short is going to want to spend the amount of time really necessary to explain just how these structures work. The second hurdle facing director, Adam McKay, is how to make us care about a group of men who made a killing on the collapse of the mortgage market - something that brought misery and heartache to millions. Overcoming these two hurdles is no easy task. I could feel McKay’s almost desperate desire to conquer both. He throws pretty much everything he can at his audience in an attempt to make this story entertaining and engaging. 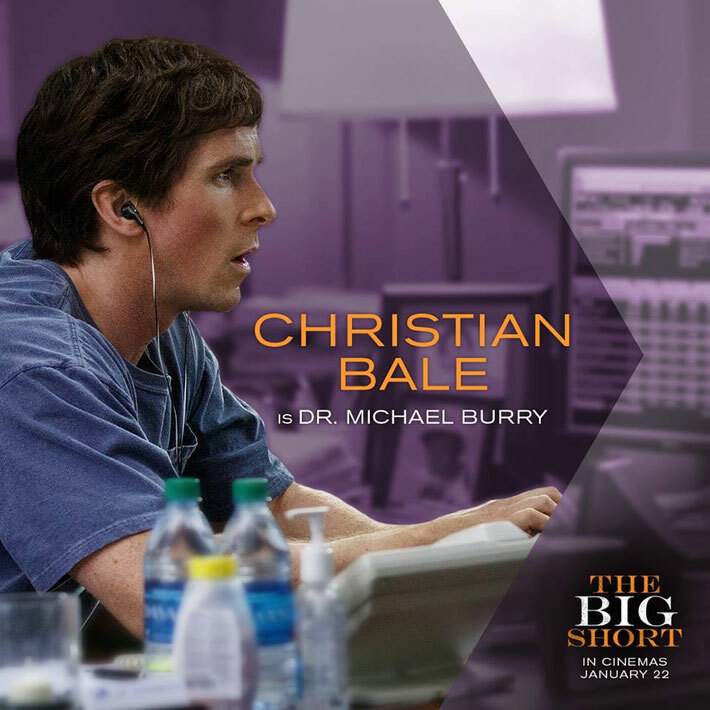 The Big Short is not, of course, the first movie to examine the global financial crisis. Many films have tried to explain the meltdown. Cartoons, infographics and interviews have all been used to explain the concept of derivatives on screen. The Big Short goes another way. Dispensing with the fourth wall from the outset, the film breaks away from its story and uses humourous, flippant little scenes to give the audience the information it needs. For example, there is Margo Robbie in a bubble bath explaining subprime mortgages and Anthony Bourdain in a kitchen describing how bankers repackaged home loans. Initially, I felt resistant to this device. Don't get me wrong, I like Margo Robbie and I understand The Wolf Of Wall Street reference. However, I don’t like being talked down to - it felt jarring. Perhaps my background as a derivatives journalist was getting in the way. As, once I relaxed and accepted the tone of the film, I quite enjoyed these ‘educational’ skits. Overall, I felt that The Big Short handled its complex subject matter extremely well. Yes it is simplistic. Yes it is factually wrong in places (Burry did not invent the credit default swap). However, the film imparts enough information to enable its audience to understand the key facts. And it's funny while doing it - kinda brilliant. The second hurdle facing Adam McKay was to make us care about his main characters. And he does want us to care for them - to root for them even. Again, The Big Short overcomes this obstacle. I did care about each of the group of money managers - even as they made their millions. Why? Well partly because they are all likeable, charismatic and funny (sorry, I appreciate that is shallow - but this film is very entertaining). In addition, every time I started to feel uncomfortable by their success, The Big Short addressed my concerns. These characters are the lesser of two evils - a group of Davids going up against the grotesque Goliath that is the banking industry. They may have won the biggest bet in town but they are never entirely comfortable with their success. Burry is only interested in the way the numbers work, Baum is wracked with guilt and Rickett condemns Shipley and Geller for celebrating their success - reminding them of the people who will lose their homes as a result. These characters are not heroes, but they are not the villains of the piece either. 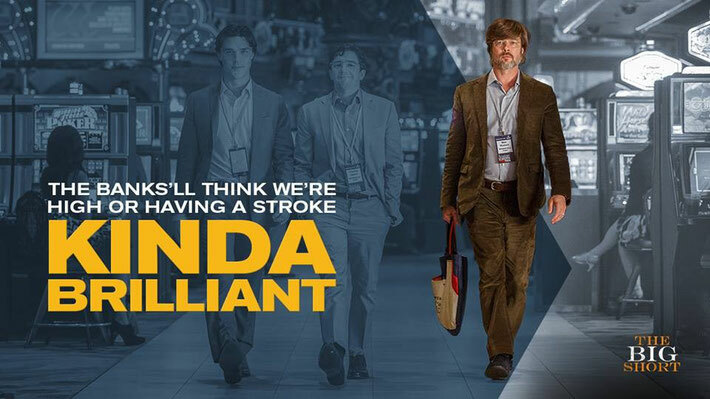 The Big Short boasts an impressive number of powerful performances. Christian Bale is brilliant as Burry. I understand why he has been nominated for so many best supporting actor awards (although I have a feeling this is Stallone’s year). Meanwhile, Steve Carell gives a superb performance - proving once again that he is far more than just a comedy actor. Here he uses his superb comic timing to drive home Mark Baum’s fury at the injustice, corruption and fraud within the banking system. The Big Short made me laugh and left me feeling thoroughly entertained - it is a remarkable story. However, I also felt rather depressed. After all that has been said about the global financial crisis - all the books that have been written, all the films that have been made - The Big Short asks if we have really learnt a single thing. Is history destined to repeat? If you enjoyed The Big Short, and you want to watch more films looking at banking and the global financial crisis, I would recommend Margin Call with Paul Bettany and Kevin Spacey. I would also recommend two documentaries: Inside Job and Enron: The Smartest Guys In The Room. Both offer a remarkable insight into what went on behind closed doors. If you, like me, enjoy finding out more about the real life characters you see in films don't go Googling Carell’s Mark Baum. He doesn’t actually exist. Baum is actually based on money manager, Steve Eisman. In addition, Ryan Gosling’s Jared Vannett, is based on Deutsche Bank trader, Greg Lippman and Brad Pitt’s character, Ben Rickert is based on Ben Hockett a partner at Cornwall Capital Partners. 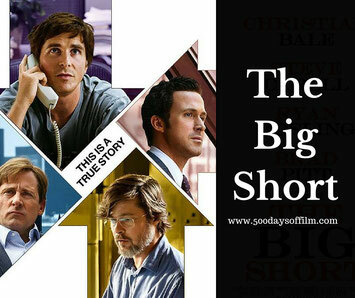 The Big Short is based on the book The Big Short: Inside The Doomsday Machine by Michael Lewis. What did you think about this film? Let me know by leaving a comment in the box below!